MOCAPE (The Museum of Contemporary Art & Planning Exhibition) will be located in the new urban center of Shenzhen, China. The design was prompted by the challenge of developing a seamless combination of multiple programs into one building. 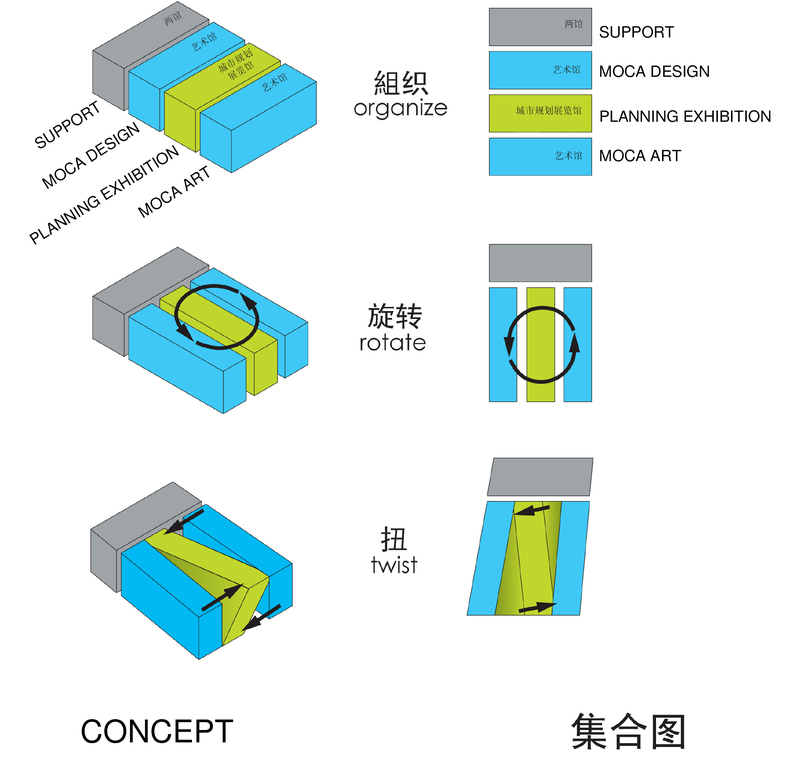 The major program components of MOCAPE; Art, Design, Planning Exhibition and support spaces are organized into four different wings. Each wing has a distinct identity, yet functions as a part of the whole to transition intentionally into the central vertical circulation. The juxtaposition between the exterior and interior creates a powerful dialogue and lasting synergy. The interior incorporates a holistic approach to energy, water, and resource conservation; optimum indoor air quality and artwork conservation. The exterior design employs glass and metal panels as shading to successfully introduce a simple facade that holds its own against its neighbors. The entire complex aspires to become an innovative civic destination.